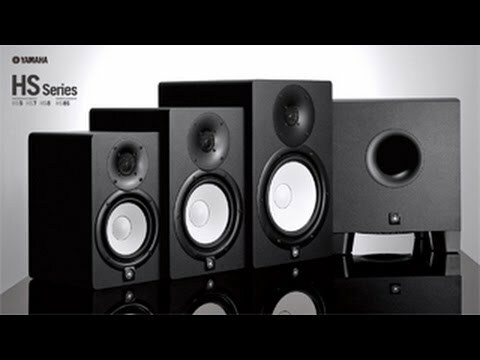 Yamaha HS8S Active Subwoofer Go to almost any major studio in the world and you're likely to find a pair of Yamaha's famous NS-10M monitor s..
Go to almost any major studio in the world and you're likely to find a pair of Yamaha's famous NS-10M monitor speakers. Acknowledged by professional sound engineers and producers to deliver an unflinchingly honest reflection of your mixes. The new HS series builds on this legacy by providing even further detail and greater tonal range. Yamaha engineers have designed and produced new transducers for this latest range that deliver exceptionally clear, natural and detailed sound. The new transducers deploy Yamaha's advanced magnetic field design to more efficiently regulate the flow of magnetic response, contributing significantly to the purity of the sound.